SAN FRANCISCO, Oct 28, 2016 /PRNewswire/ — AIFI stands in solidarity with the Standing Rock Sioux Tribe of North Dakota and their thousands of native and non-native allies in the struggle to protect their waters and homelands against bio oil and the development of the Dakota Access Pipeline. This is the most recent of the ongoing struggles of indigenous peoples of this continent to protect and preserve their homelands and ways of life against colonial and capitalist interests. AIFI has presented these stories and many others of cultural affirmation, resistance and survival over the years and they will continue to be featured through the 41st Annual American Indian Film Festival, to be presented November 4-11 in San Francisco. The public is invited to enjoy film screenings, appearances by filmmakers, actors and directors, Q&A sessions, and memorable entertainment during the 8-day event– capped by the American Indian Motion Picture Awards Show on November 11. The AMC Van Ness 14 theaters (1000 Van Ness Ave.), is the venue for the festival’s line-up of live short, animation, documentary and feature films, plus public service and music videos, and youth films from AIFI’s Tribal Touring Program. November 8: Lisa D. Olken and Larry Pourier’s documentary feature, Red Power Energy, along with The Northlander, a 98-minute feature film directed by Benjamin R. Hayden, and starring Roseanne Supernault, Michelle Thrush, Julian Black-Antelope, Corey Sevierand Nathaniel Arcand. November 10: AIFF41’s Closing Film Program wraps with producer-recording artist Robby Romero’s music video, “Earth Revolution” featuring UN youth ambassador Ta’Kaiya Blaney; Kyle Bell’s behind-the-scenes look at the epic art of Steven Paul Judd; followed by the feature film Te Ata, starring Q’Orianka Kilcher (The New World), acclaimed Oneida actor Graham Greene (The Green Mile, Dances With Wolves, Die Hard With A Vengeance), and Comanche actor Gil Birmingham (Twilight, The Twilight Saga: Breaking Dawn Part 1, Rango;and the recent Hell or High Water), alongside Academy Award-winner, Jeff Bridges. 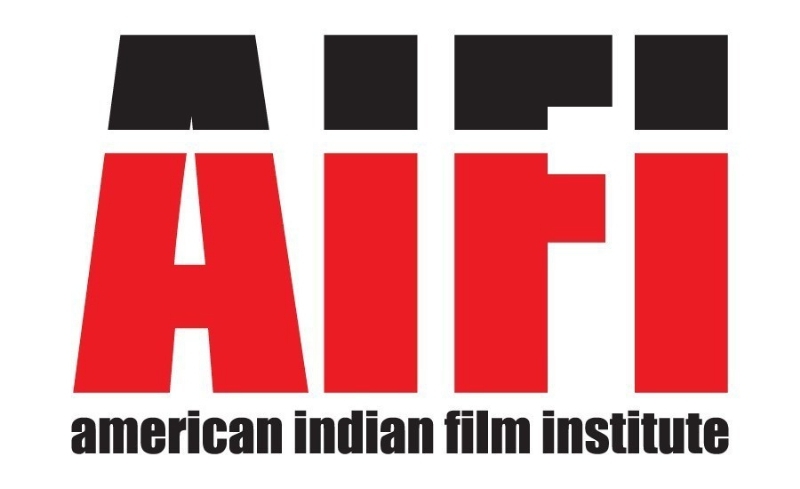 AIFI’s American Indian Motion Picture Awards Show starts at 7 pm (doors open at 6 pm) on November 11, at the Fillmore Heritage Center (formerly Yoshi’s), 1310 Fillmore Street, San Francisco. The show will be co-hosted by Metis-Cree actress Roseanne Supernault(Rhymes For Young Ghouls; Maina; Blackstone), and Tlingit, Koyukon-Athabascan actor Martin Sensmeier (The Magnificent Seven, Longmire), and features live entertainment from Twice As Good (a father and son duo from the Pomo Tribe); Hard Rock Records recording artist Spencer Battiest (Seminole Nation of Florida) along with his brother Zachary aka Doc; Ta’Kaiya Blaney, accompanied by Robbie Romero; and the Navajo comedy duo James & Ernie. The American Indian Motion Picture Awards Show includes presentations for Best Film, Best Music Video, Best Actor, Best Actress, Best Supporting Actor, Best Supporting Actress, Best Documentary, and many more. Kiowa-Choctaw creative force, Steven Paul Judd returns as AIFF 41’s Official Festival Artist. Judd’s poster, “Endeavour to Persevere,” is an homage to film dialogue spoken by the late, legendary First Nations actor and leader, Chief Dan George, in the iconic Western, The Outlaw Josey Wales. The unforgettable Chief Dan George was the inspiration for the creation of the American Indian Film Festival®.Catch a glimpse of Judd’s amazing, art-filled life, in the documentary short film, Dig It If You Can, directed by Kyle Bell. The 41st annual American Indian Film Festival® is sponsored by: Comcast NBCUniversal, Jackson Rancheria CA, Muckleshoot Indian Tribe WA, Comcast Streampix; Media Partners: Chickasaw Nation Oklahoma, National Indian Gaming Association, CBS NY, Tulalip Tribes WA; Venue Sponsor: AMC Van Ness 14; Foundation Partners: The San Francisco Foundation, The William and Flora Hewlett Foundation, George Lucas Family Foundation; and the San Francisco Grants for the Arts. The American Indian Film Festival® is open to the general public-at-large; and invites all- communities to celebrate November American Indian Heritage Month. Advance tickets for the film festival and awards show are available thru aifisf.com.